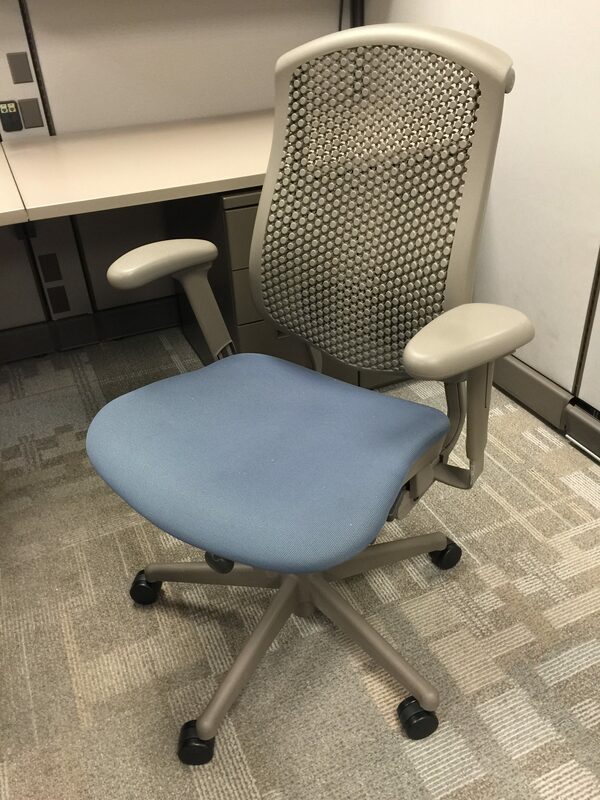 Herman Miller Celle Task Chairs, Brownstone plastic back with blue fabric cushion. 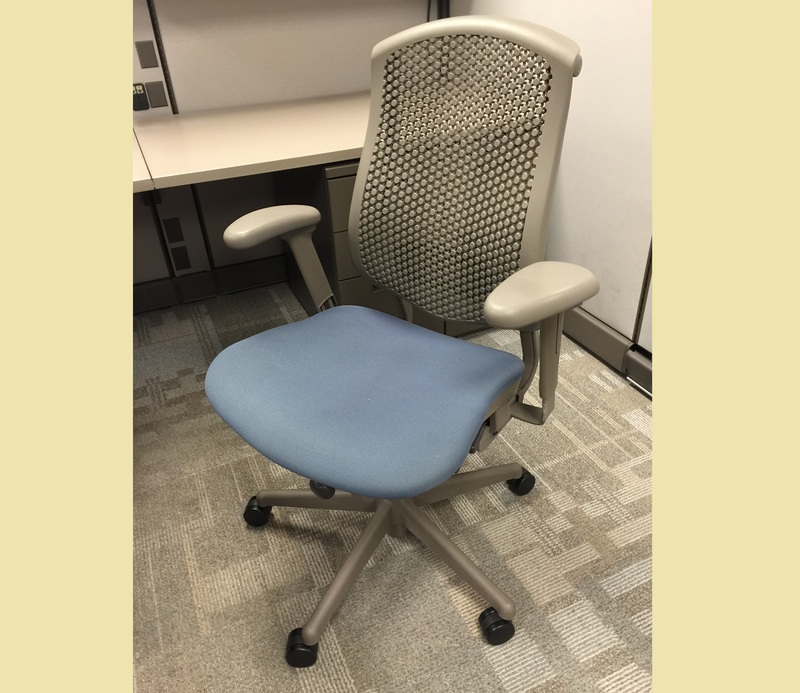 Full featured chair with lumbar adjustment, height adjustable arms and pneumatic height. 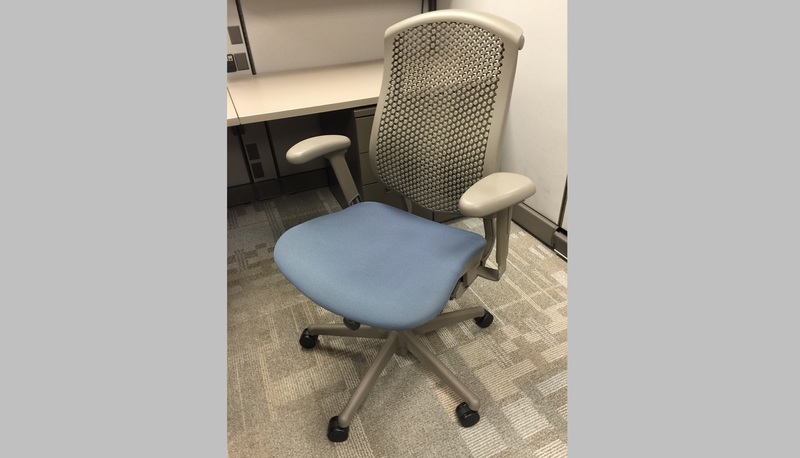 No Comments on "Herman Miller Celle Chair"